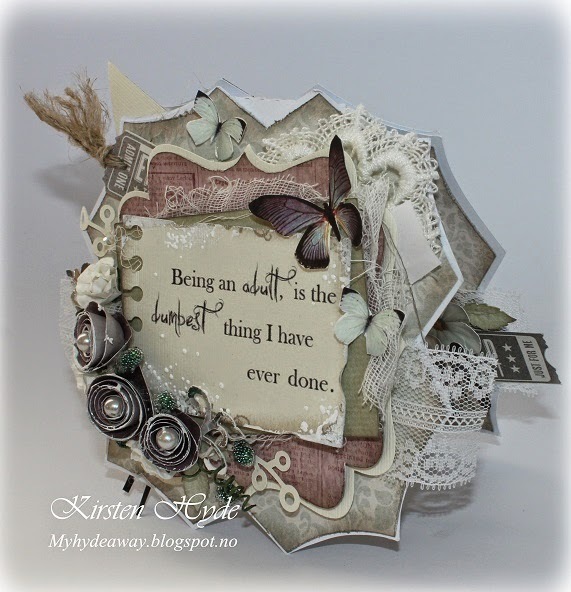 Sometimes, I create large projects and pop - up cards, but some times - one just need some of the simple cards too. 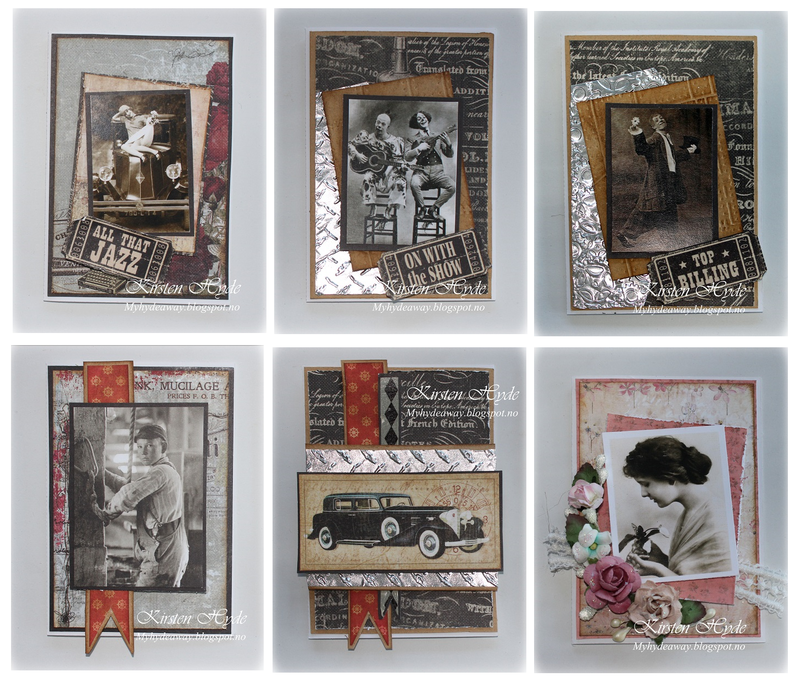 These sets of 9 cards were made at a craft gathering at Scrappehjertet, last weekend. 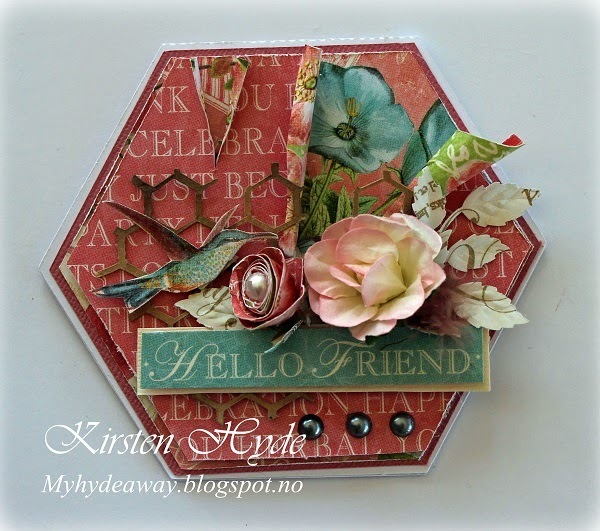 The first six tags are mainly made from Prima's Red Ink Stationers and left over papers. 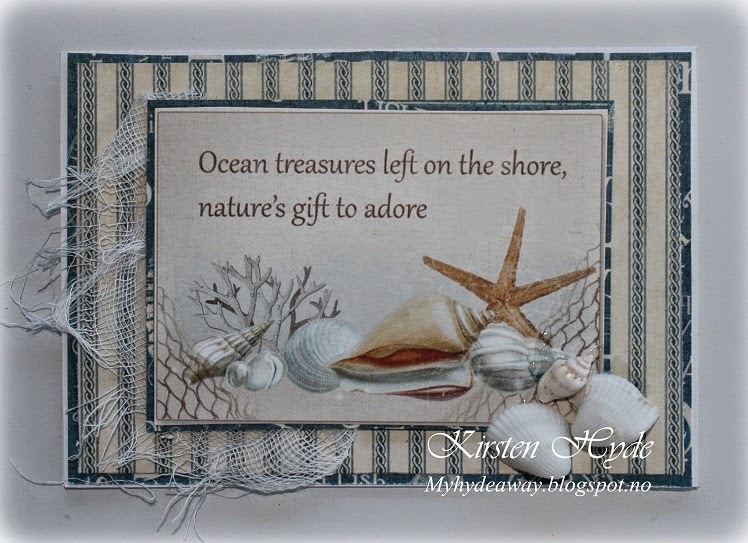 The three last tags are made from Graphic 45's new By the sea papers. There is a new challenge over at StampARTic. 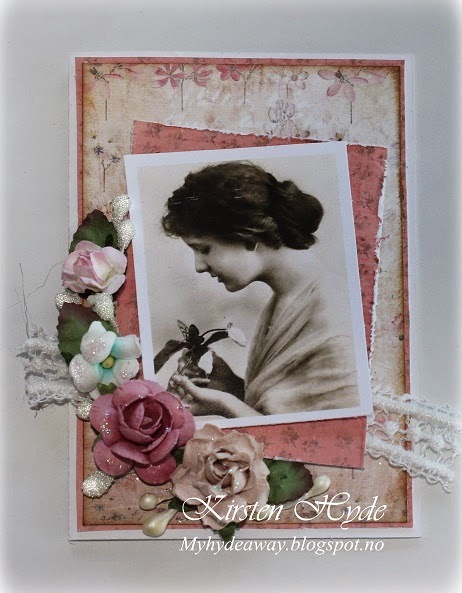 I made a layout, from an old photo of my daughter. This is from her second birthday. 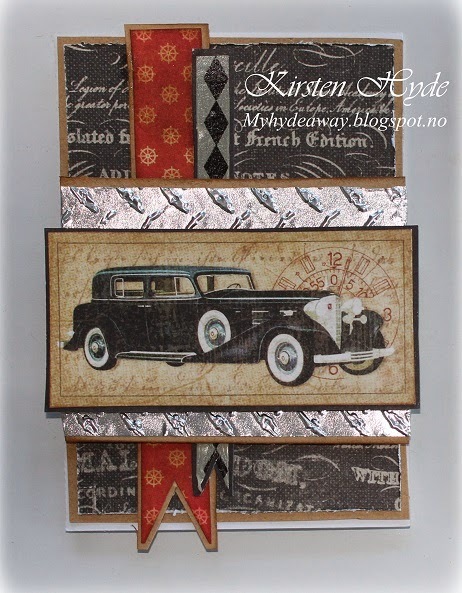 The background paper is an old paper from Melissa Frances. 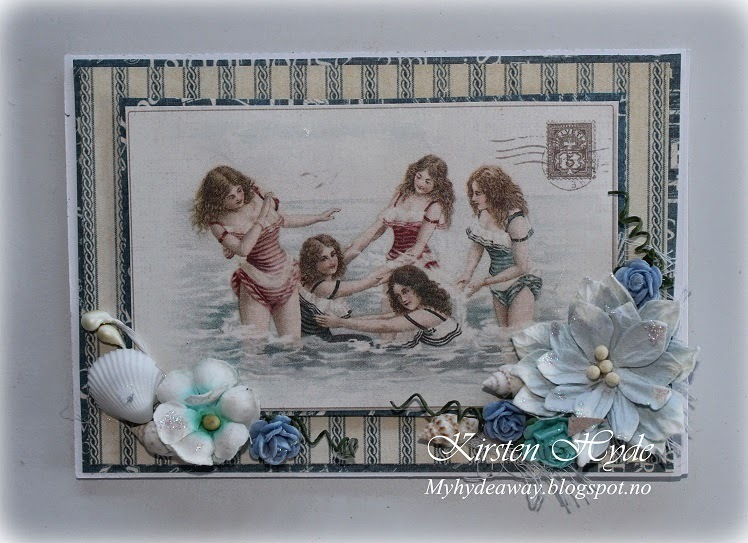 I have used dylusions spray, gesso and stencils to create the background effect. 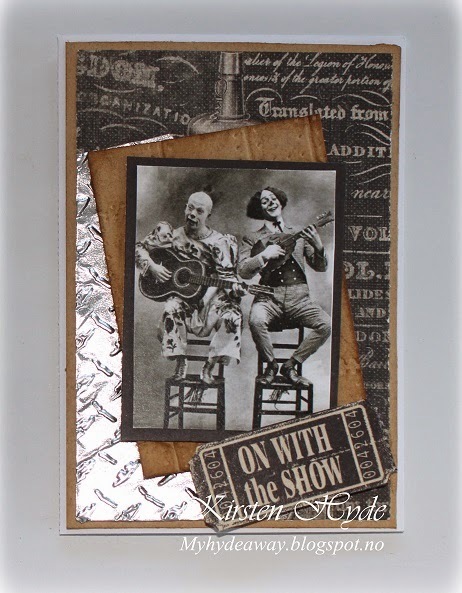 I have also used painting tape on the background and embossed it with silver and Fran-tage embossing powder. 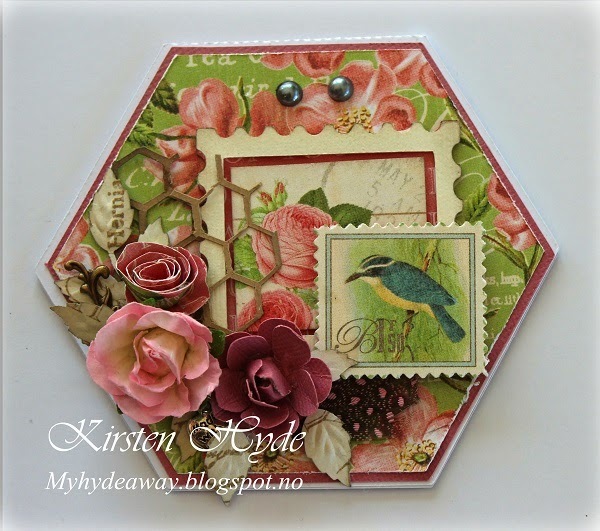 I have also used a random set of stamps on the background. 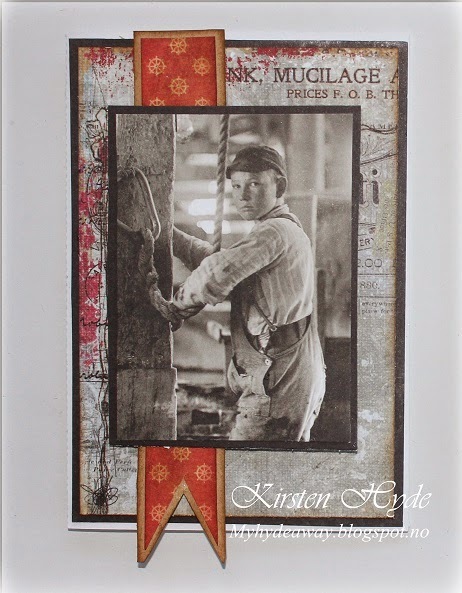 The paper stripes are from Prima - Hadock Park - tag collection. 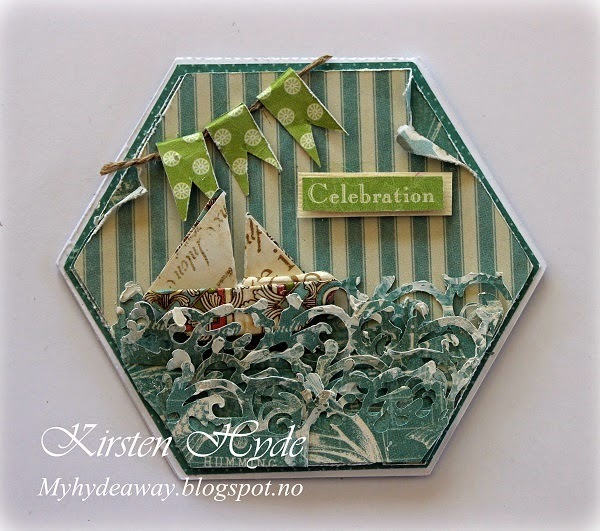 Today, I am a guest designer over at Crafting by designs. 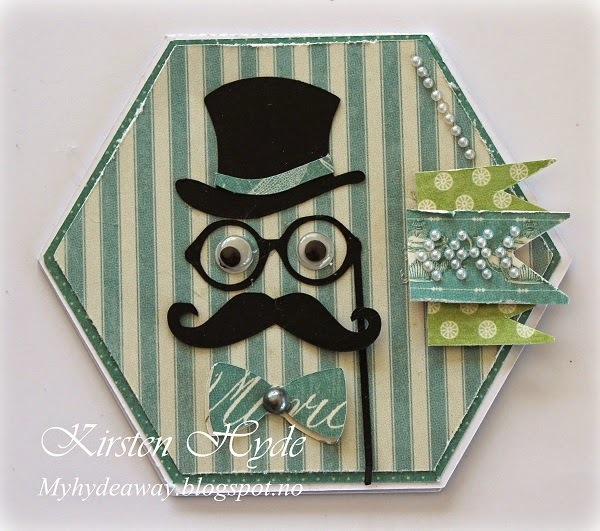 I have made a pop-up card. 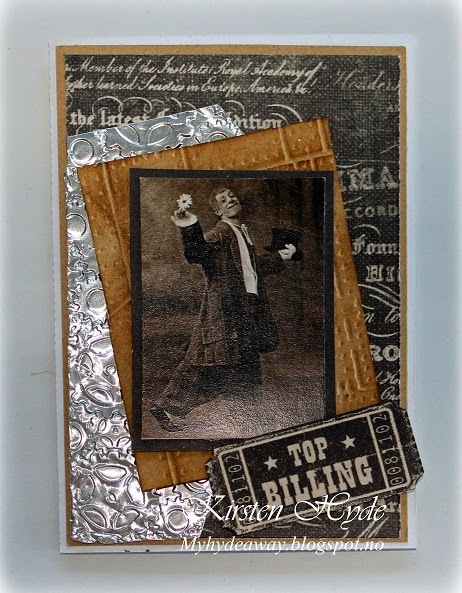 I decided to only use left over papers and embellishments. So I found some of my old stash and had a go. The stamp is from Stamping Bella, Mo Manning - Jill is two. The stamp has been painted with watercolours. 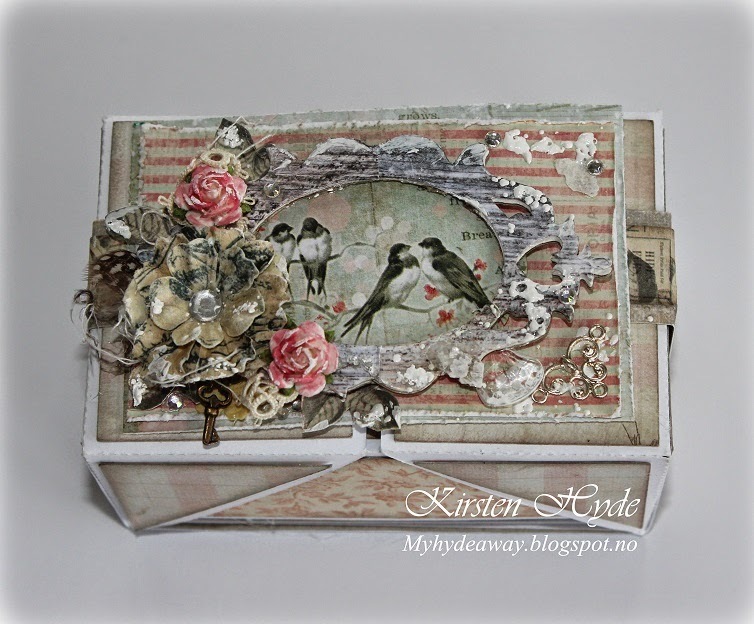 The bacground paper is from Prima, Princess collection. 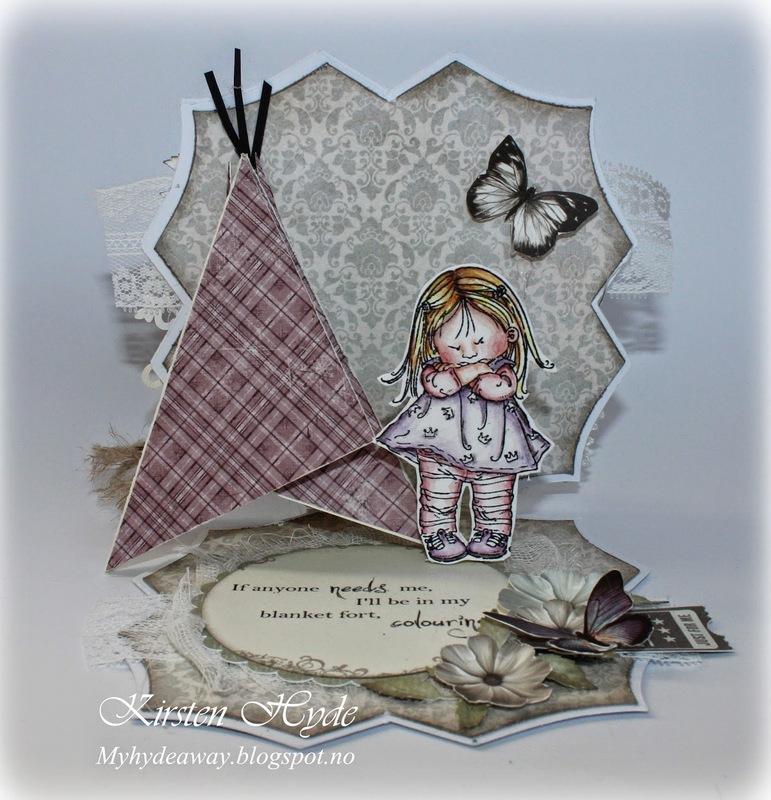 The tent is a pyramide or TeePee card, made from paper from Maja design - Vintage Frost Collection. 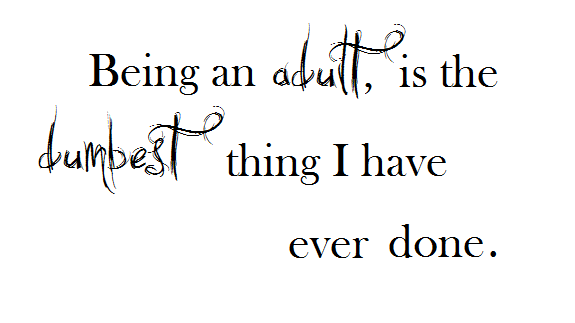 The text, is a digital stamp I have made. You can find it as a freebie at the end of the post. 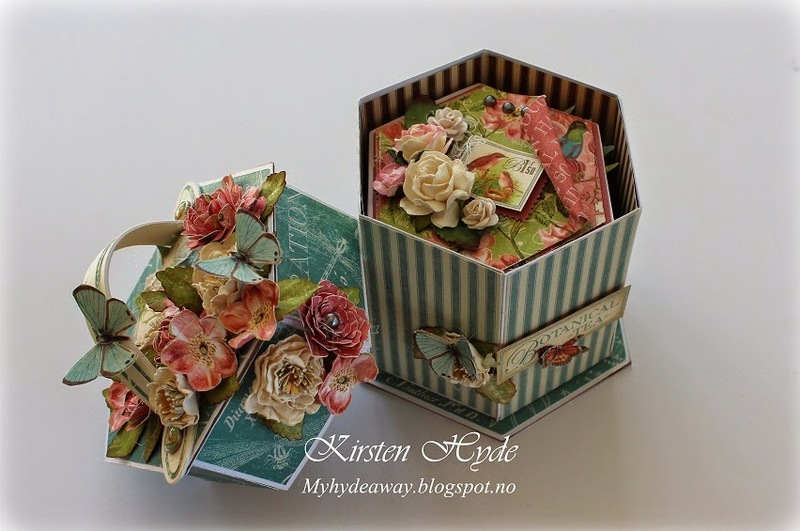 Flowers and butterfly have been cut out of a paper from Kort og Godt. 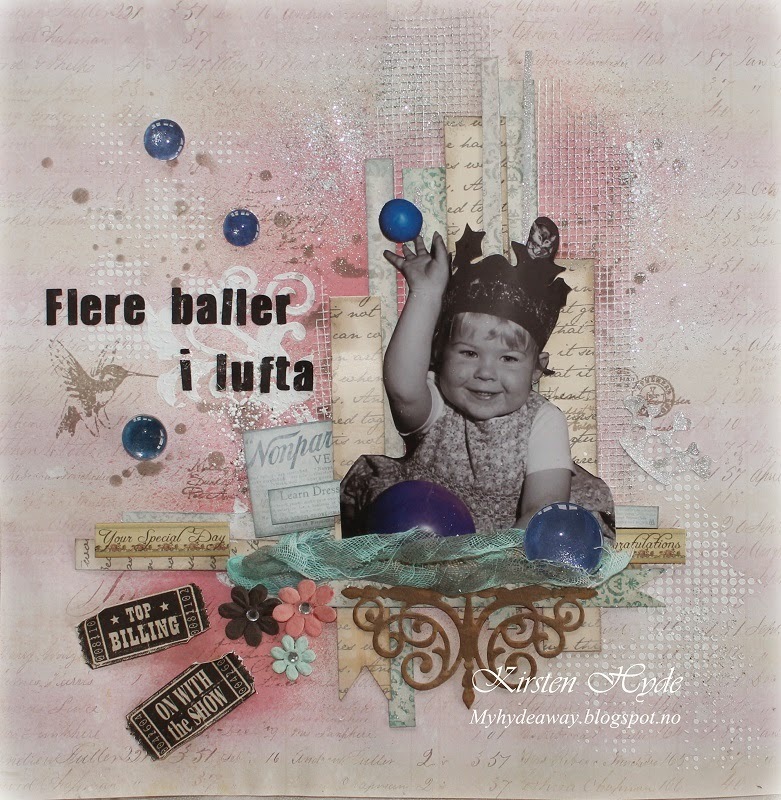 I have used another digital stamp that I made on the front. 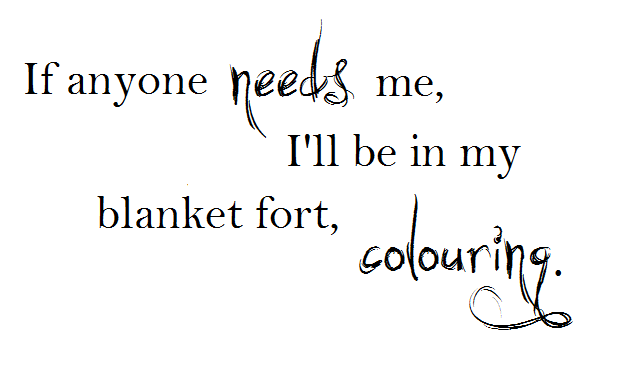 You can also find this as a freebie at the end of the post. 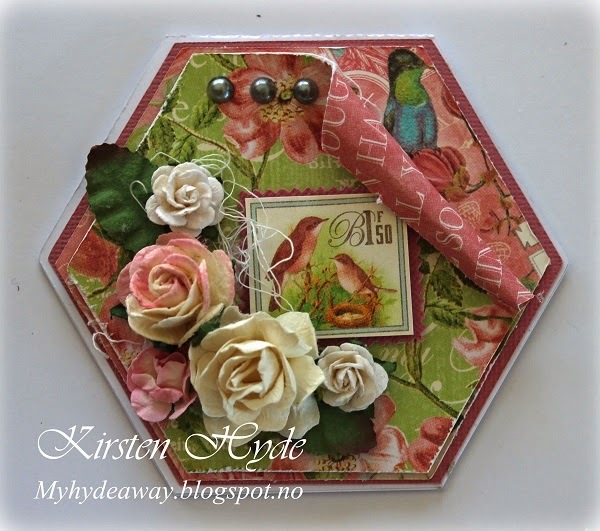 Some of the roses are rolled from left over papers. 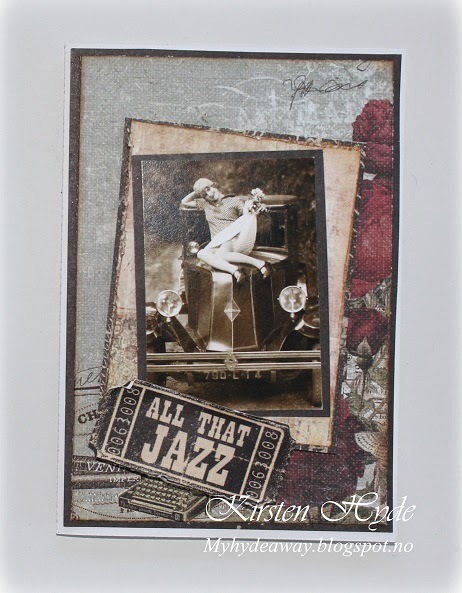 Background papers are from Prima, a mix of old and newer collections. 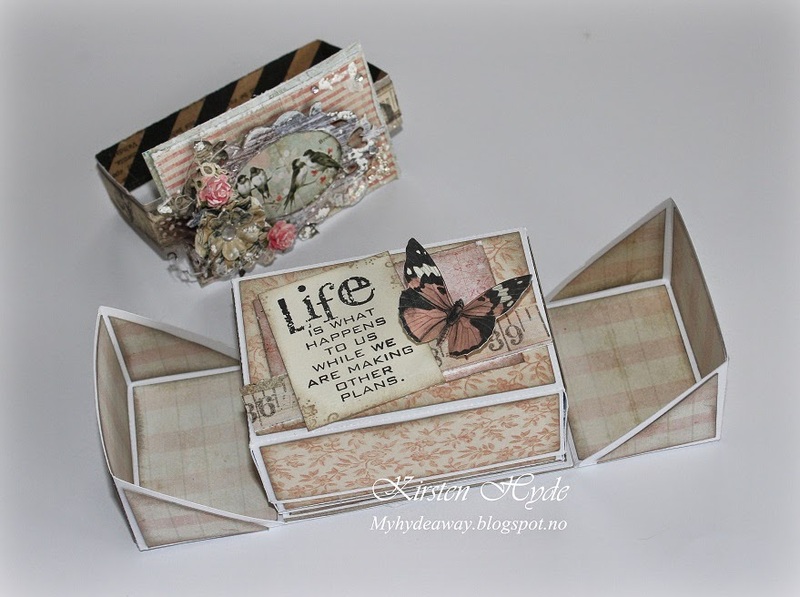 Also - remember that there is still a blog- hop going for a few days with StampARTic and Project Life Norge. 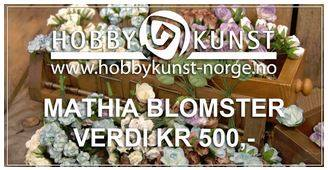 It is not so often I get English craft magazines in Norway. I often stock up, while I am in the UK. 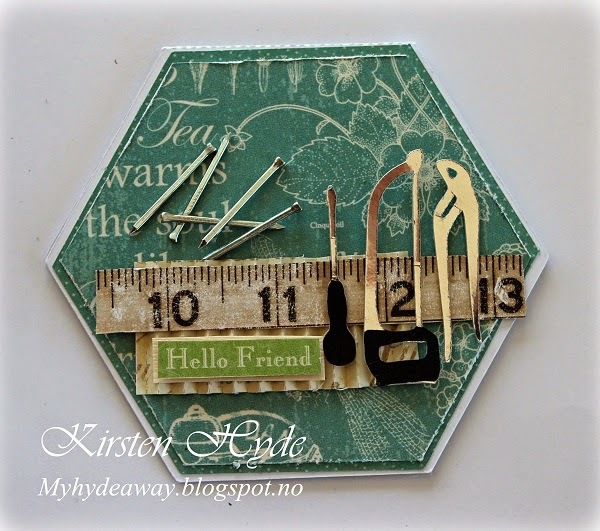 This time, Simply Cards and Papercrafts had some stamps from Indigo Blue - and I suddenly had the "need" for the magazine. 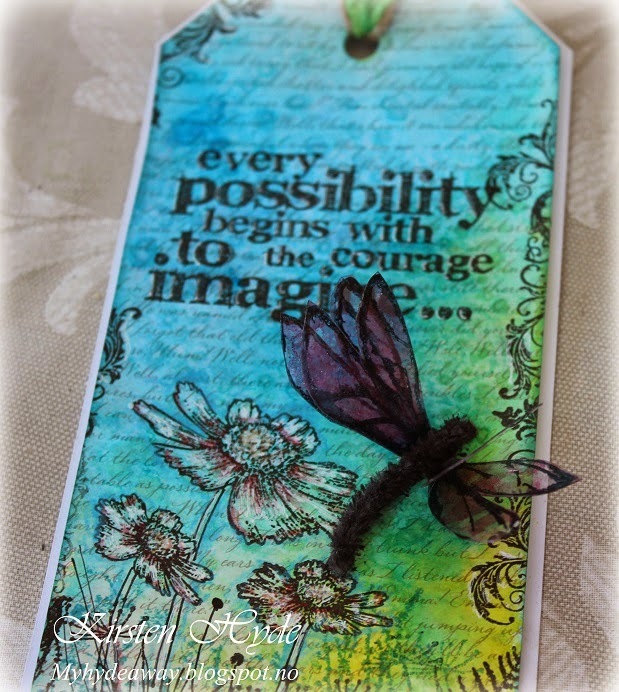 I have used some of these stamps from Indigo Blue to create a tag as a DT contribution for StampARTic. 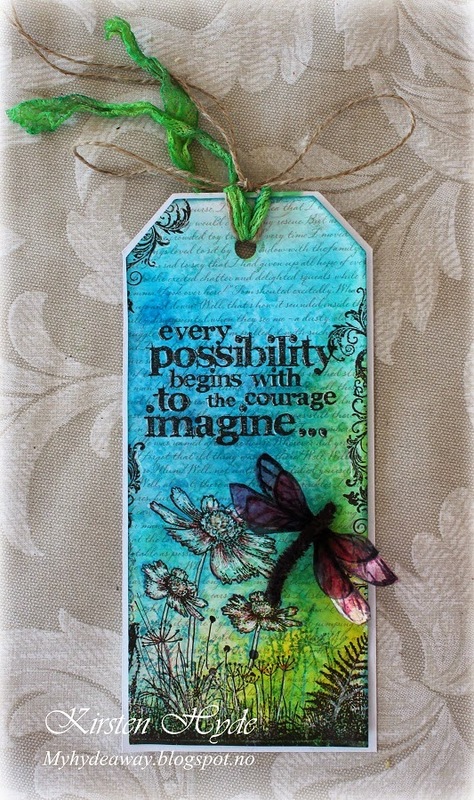 The background is an old text patterned paper, coloured with dylusion spray. 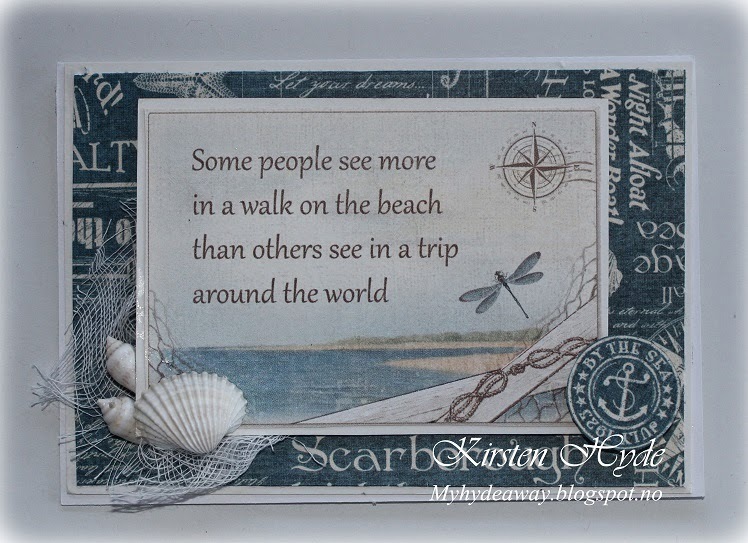 Then I have sprayed water onto the tag, and added sea salt. This creates pattern in the wet ink, while it is drying. 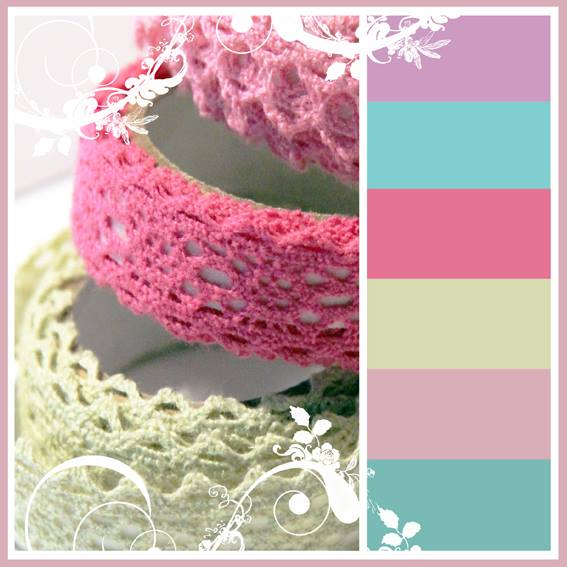 The green band is a lace, coloured with dylusion spray. 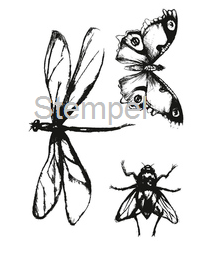 The dragonfly is created by stamping two dragonfly onto clear acetate. Then I coloured the back of the acetate with alcohol ink, and cut out the two dragonflies. 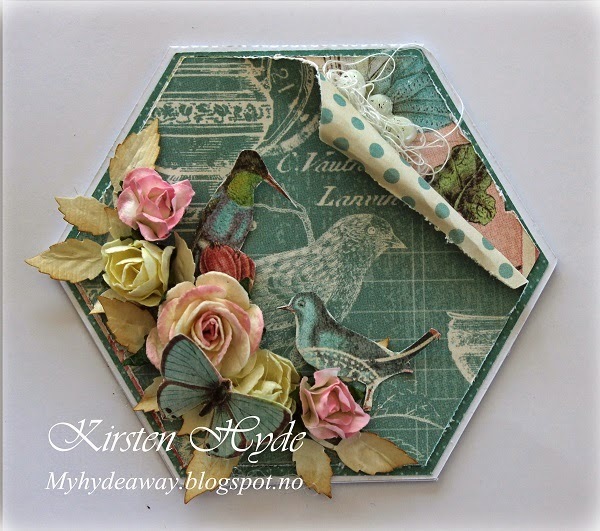 They were glued on the top of each other to create the double wing effect. I then added a pipe cleaner to make the dragonfly body. 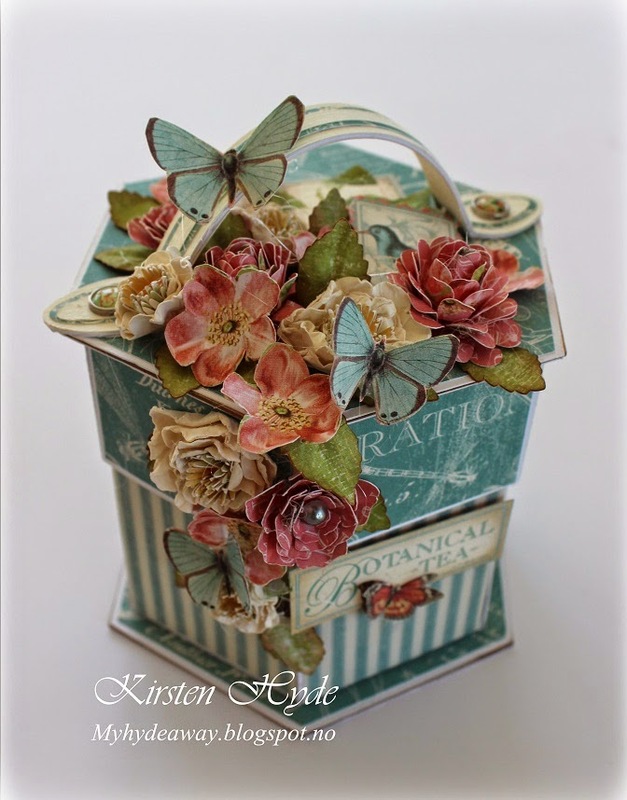 We are inspiring you with gift boxes at stampARTic today. 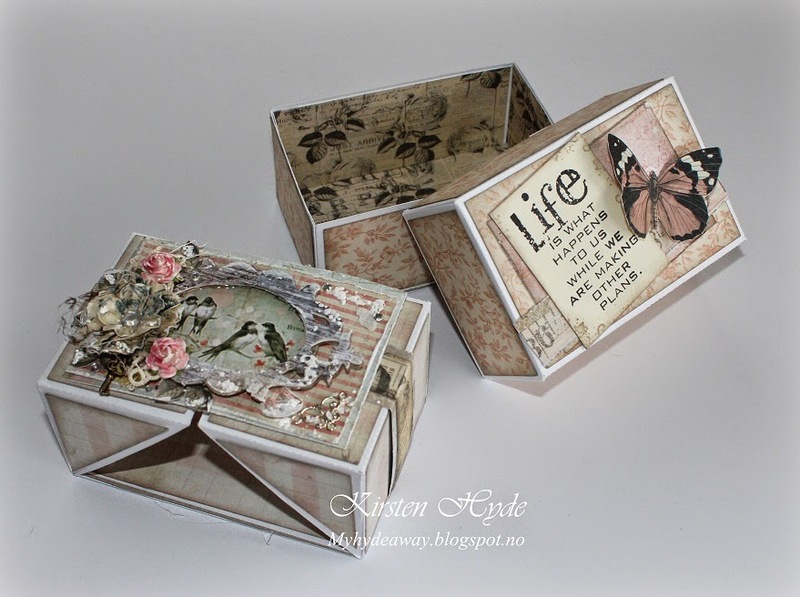 I have created a gift box. 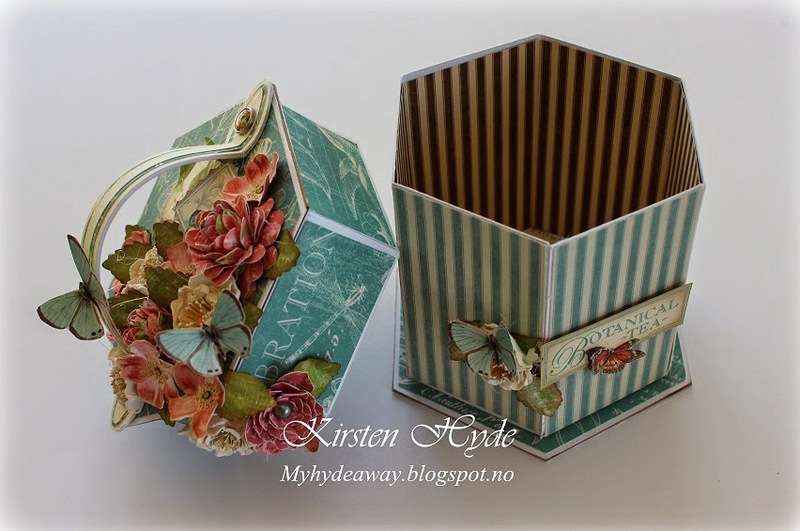 This box is inspired by a box, made by the great Swedish paper artist, Annica Hedberg. 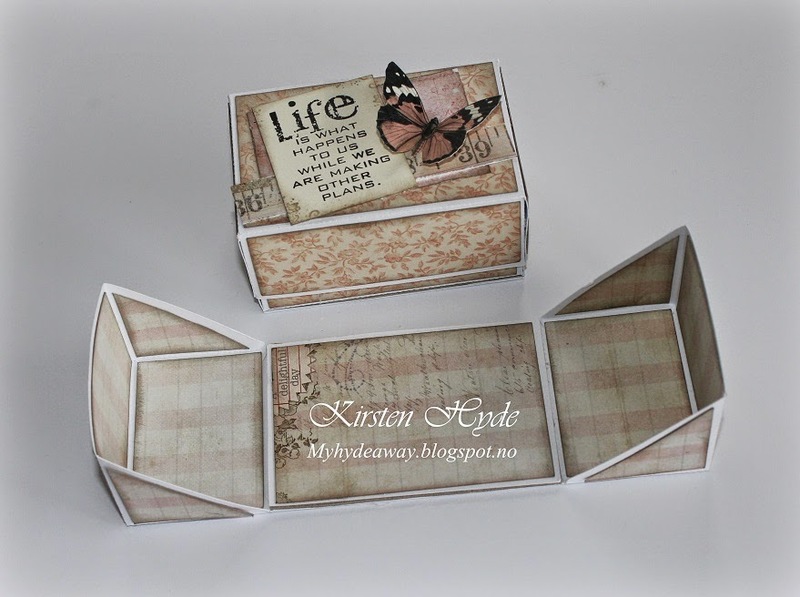 The box is can be revealed, after removing the band around the box. 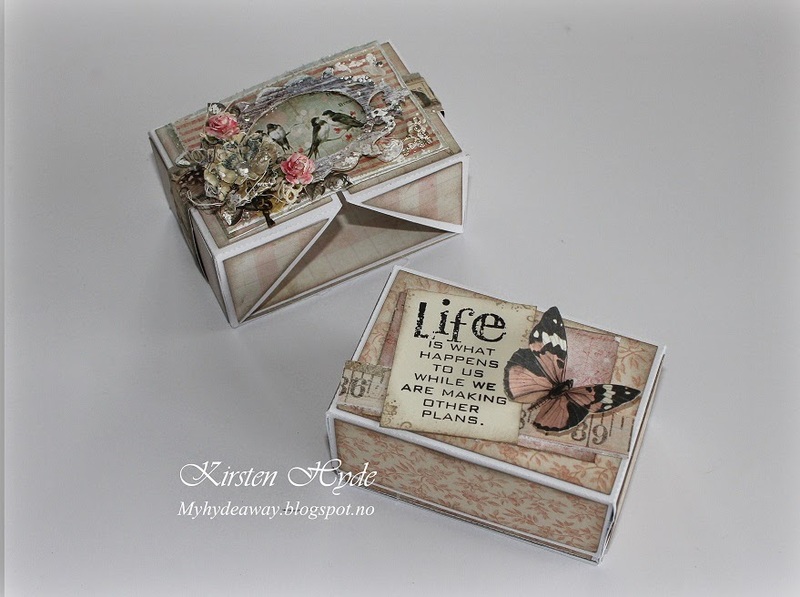 Then the box can be filled with a treat or a small present. 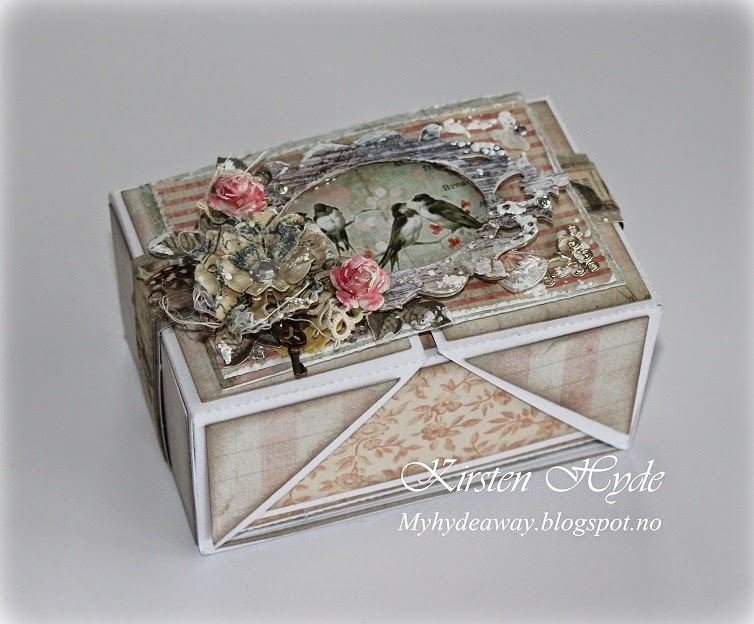 When Annica Hedberg made here box, she used a template from "My Time Made Easy". 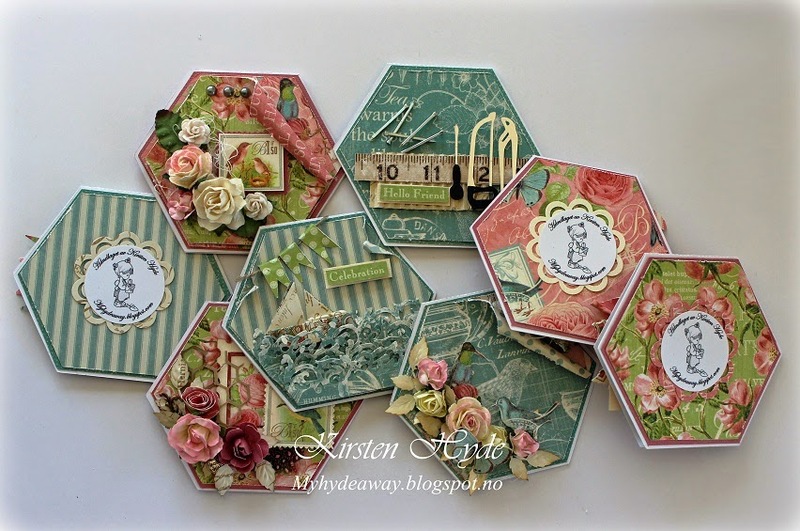 We also have a blog candy going over at StampARTic. 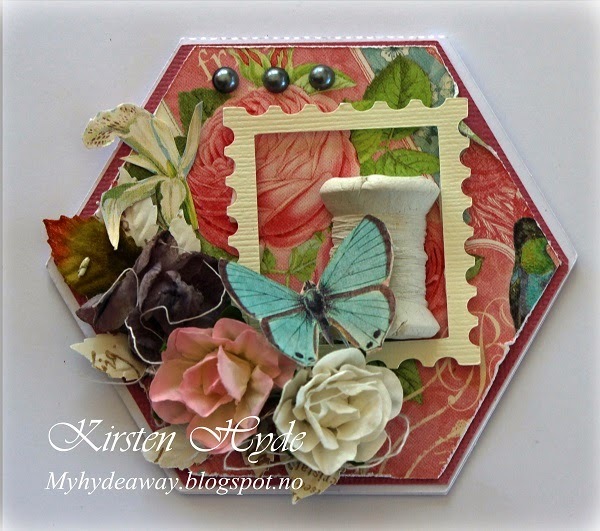 7 kids challenge blog - Anything goes with flowers. Denne blogghoppen er nå over. Vinner trekkes snart. 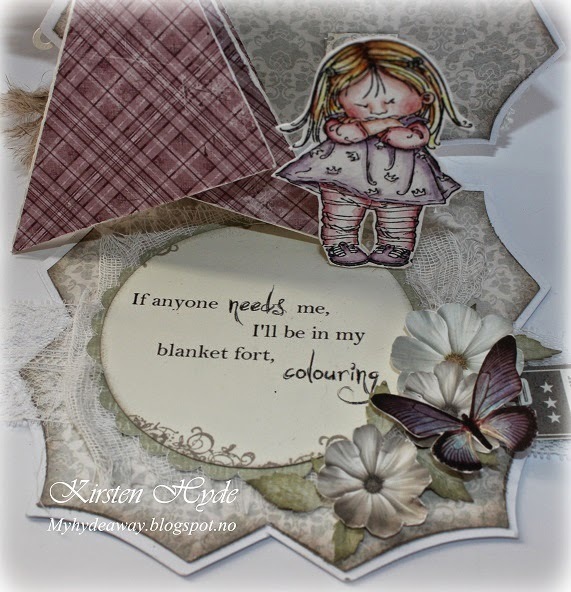 This Blog Hop is over. The winner will be published soon. 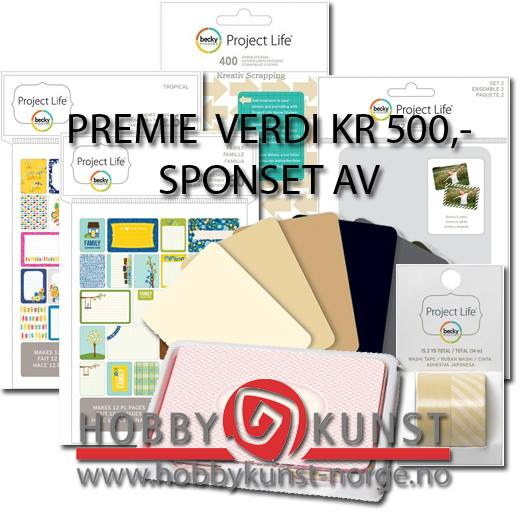 Når du har vært på bloggrunden går du inn i StampARTic- eller/og Projectlifeinorgebloggene og legger deg til som følger både i bloggen og på våre Facebook-sider. Tilslutt legger du igjen en liten kommentar om at bloggrunden er fullført! Her har du sjans å vinne 2 hovedpremier om du besøker begge bloggene! Går du inne på våre Facebook-sider og liker oss, så har du ytterligere sjans til å vinne en premie! Jeg laget en boks, fylt med små, enkle kort for enhver anledning. Selve boksen, har jeg laget mal til selv. Boksen er fylt med små kort, både til kvinner og menn. Det å lage maskuline kort med denne serien av ark, var en liten utfordring. Jeg har laget en video for å vise boksen. For å være med på trekningen av denne premien, må du legge igjen en kommentar under innlegget. 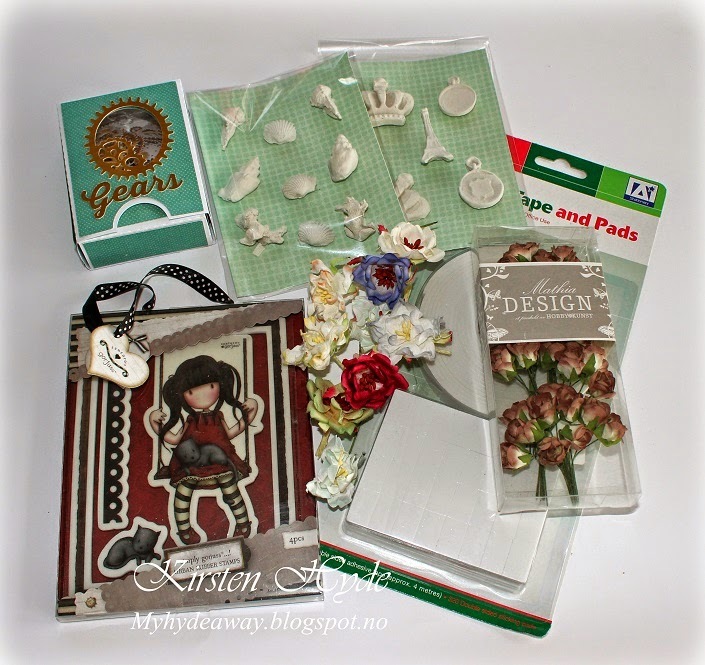 Trimmies craft challenge - Make your own embellishment.